It’s no secret that we love Silhouette eyewear – it’s showcased in nearly every Leightons branch! From their spectacularly colourful frames, to the minimal designs they’re so well known for, Silhouette have remained a firm favourite to our stores. Combining delicate features with robust technology and materials, Silhouette offers eyewear that can last you a lifetime of style and sophistication. The team at Marlow decided to dedicate an entire day to the beautiful collection – and what better way to show off the selection than to invite a Silhouette specialist to the branch to showcase the full range of eyewear to customers? To give everyone the opportunity to come and see the complete collection of Silhouette eyewear, Marlow branch stayed open until 7pm. Although Leightons Insight always stocks a vast range of Silhouette, it was for this day only that the entire selection was available to view in store. Not only that, but they offered an amazing 20% off all Silhouette frames! Simon, Silhouette’s own brand expert, spent the day with our Marlow team giving exclusive insight in to the collection. 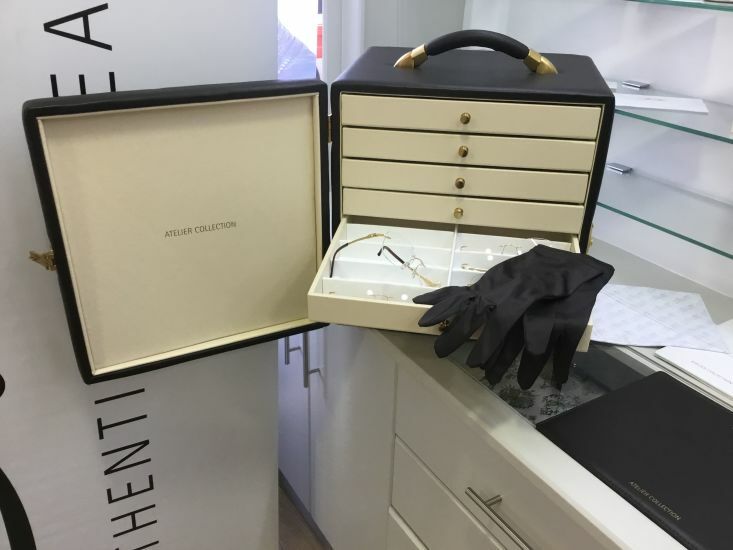 He brought the full range of Silhouette frames with him, including luxury collection Atelier. Atelier frames are made in gold and hand set with diamonds, sapphires and rubies – a process which only one person in the company is able to do. This stunning selection was a great centrepiece of the day, and certainly stood out amongst the many other collections on display. 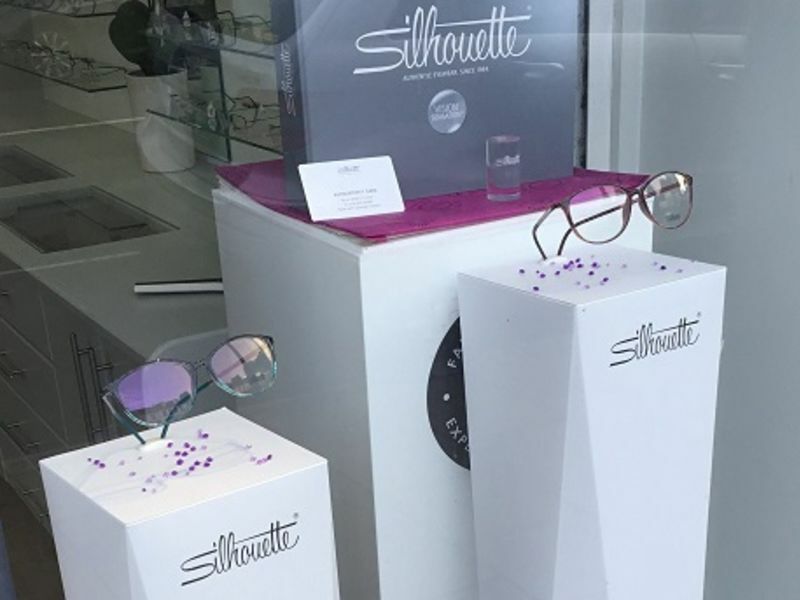 Silhouette offer a broad selection of styles, although they are best known for their elegant rimless frames, you’ll be spoilt for choice in their other ranges too. With similar shapes to their rimless options, Silhouette make their collections stand out with unconventional yet flattering colour spectrums from vibrant pinks to burnt orange tones. The day was a huge success for the branch, with customers treating themselves to a new pair of glasses in time to update their Autumn look. Everyone had the chance to come in, meet the team and enjoy some tea and cake whilst they’re at it! Everyone in Marlow had a great time at this one-off event, it was a wonderful chance to share their passion for Silhouette with their customers. If you are interested in seeing beautiful Silhouette frames for yourself, you can visit your local Leightons branch where our fully-qualified dispensing opticians will happily show you their range. If you think your prescription might need an update, you can book an appointment online, or call us on 0800 40 20 20.